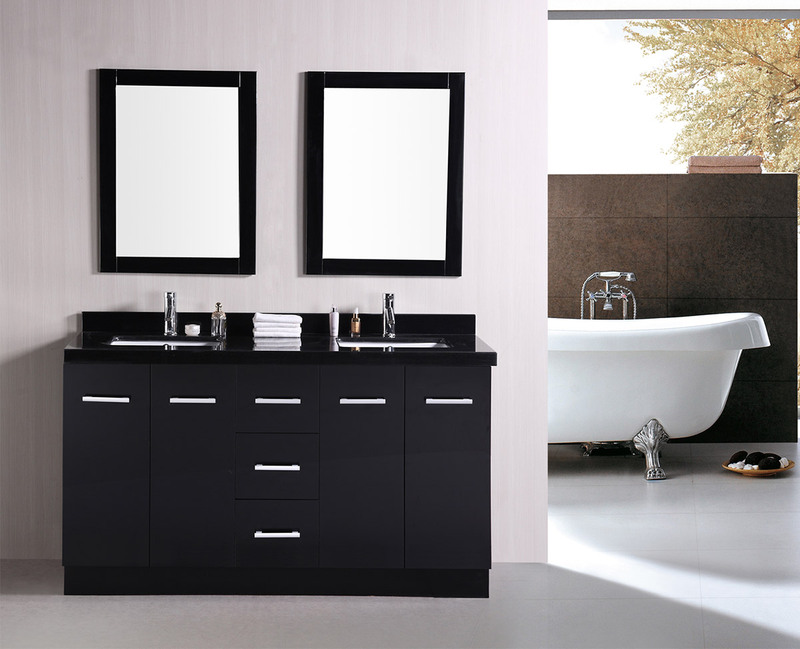 The Cosmo Double Vanity is a boldly dark and beautiful modern vanity, ideal for contemporary bathrooms. 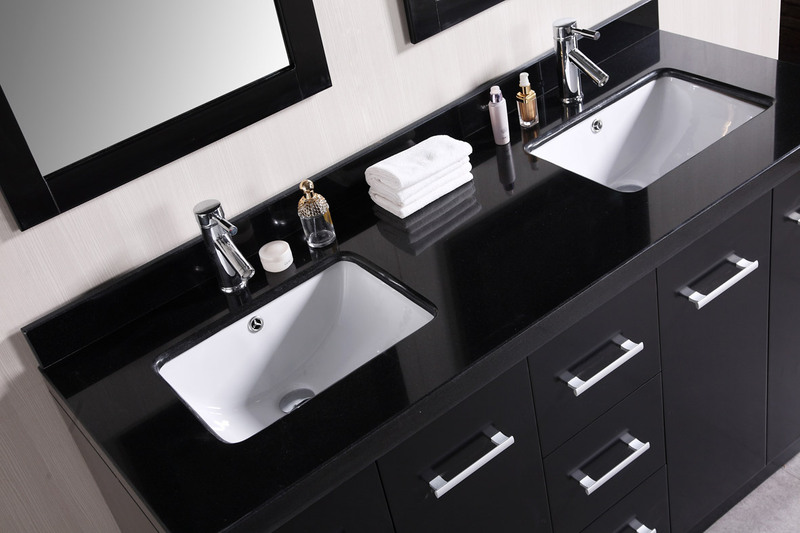 The vanity's black finish and galaxy black granite counter top are contrasted by the white porcelain sinks and satin nickel drawer handles for an eye-catching look. 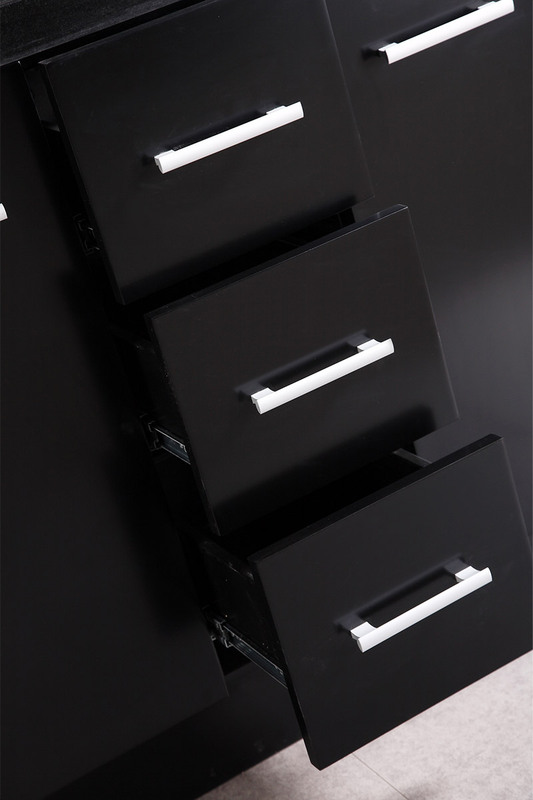 The three functional drawers and two cabinets provide enough storage space to make this vanity as practical as it is beautiful. 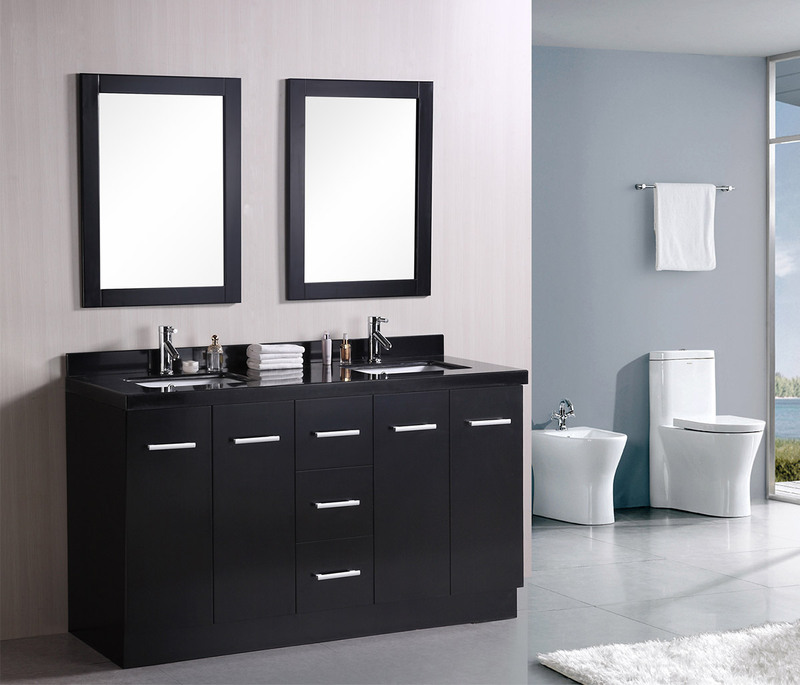 The vanity includes two porcelain sinks.